Join Team Genevieve and and "live your life to its fullest"! 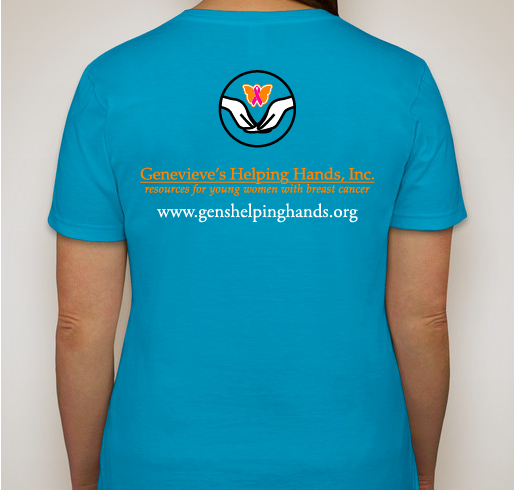 T-shirts are a light weight poly-cotton mix. All come in a crew neck style. 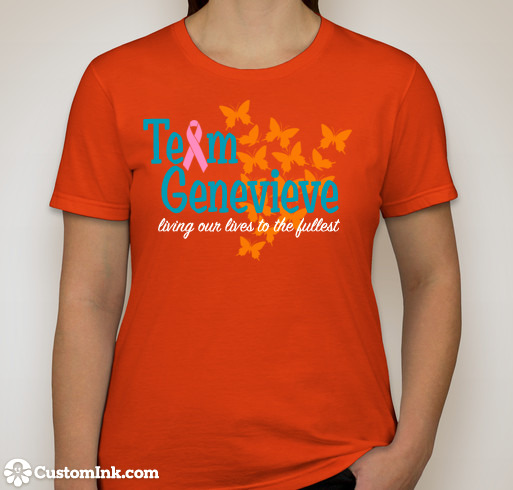 Choice of Caribbean Blue or Team Orange in women's, men's, and youth sizes. $25.00 charge includes shipping. Allow 2 weeks for deleivery.